Montgomery Builds strives to create platforms for community to grow. Genuine human connection & conversation enhances our ability to understand ourselves, one another, the opportunities ahead. Through 2018, not-for-profit groups are invited to gather in conversation at the Kress Community Room. The relaxed living room setting is infused with art from Alabama artists that is sure to spur the imagination. Our space accommodates groups up to 40. Celebrating individual voices, this Living History recording booth is collecting stories from the people of Montgomery, Alabama and beyond. Located on the ground floor of Kress on Dexter, people are invited to enter a phone booth, pick up the phone, and tell a story. 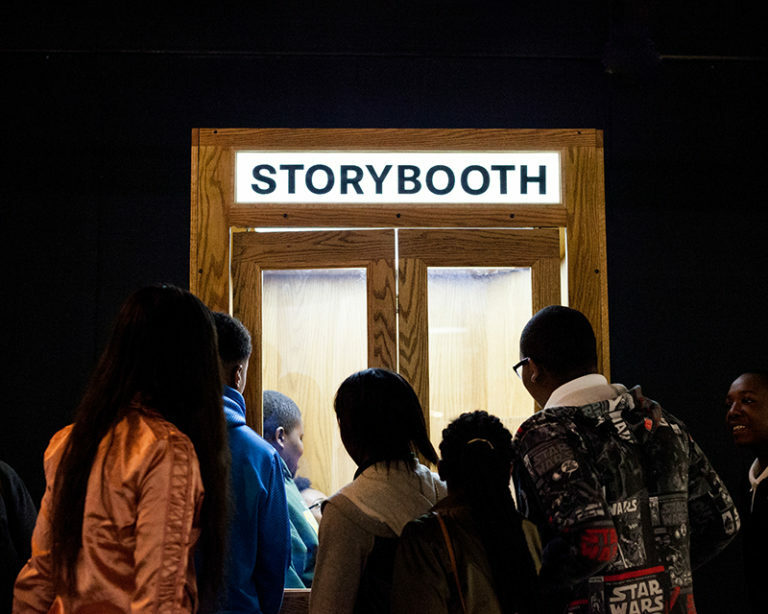 Each story is of equal importance and filed away in a free, public archive easily accessed by anyone online @Storybooth.us. It is our hope that this platform will provide inclusive, equitable opportunity for sharing, listening, storytelling and discovery. Share your story at Storybooth at Kress on Dexter! Produced in collaboration with Dashboard.US. Special thanks to RMP sponsor, Alabama Power. 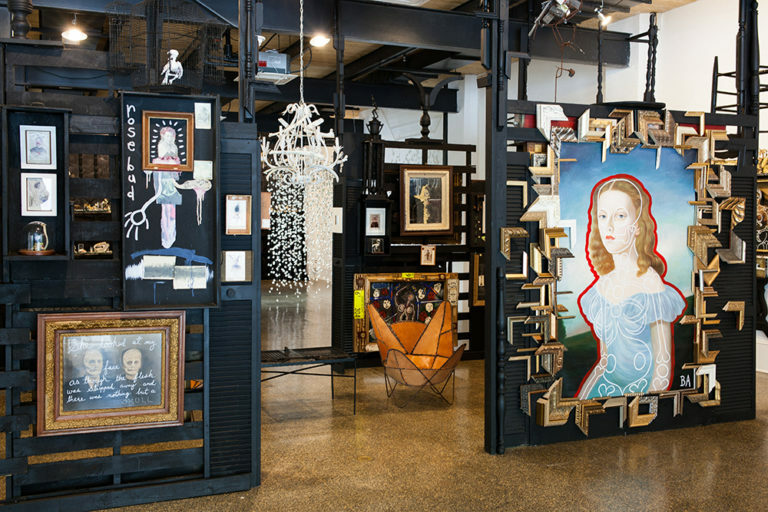 A hands-on art & storytelling event—Kress on Dexter showcased the stories emanating from Monroe Street, which in its heyday was the epicenter of Black Enterprise and culture. 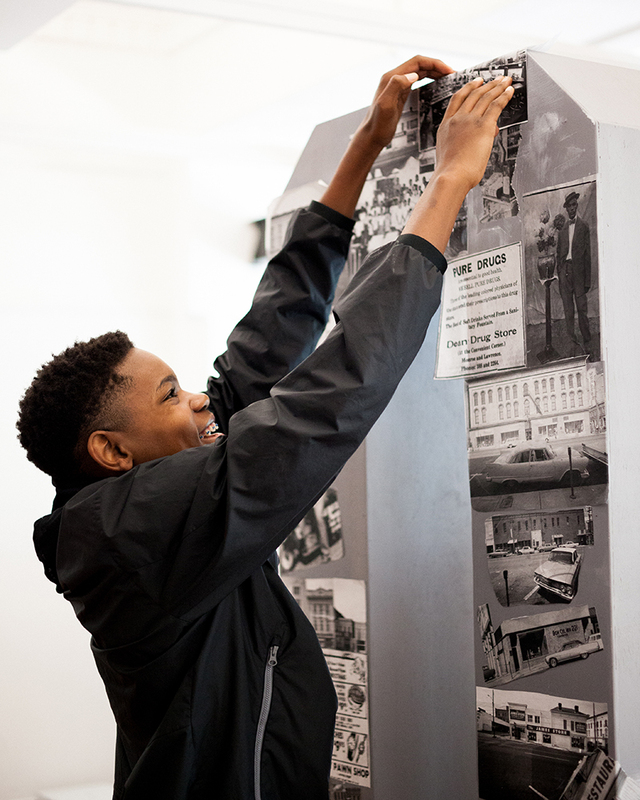 Over six curated events, multiple generations gathered, stories were shared, new connections were made and the faces and places of Monroe Street emerged in a one-of-a-kind art installation. Produced in collaboration with Handshake Union. The first major art exhibition for Kress on Dexter, This is where you’ll find me showcased some of Alabama’s most revered artists. 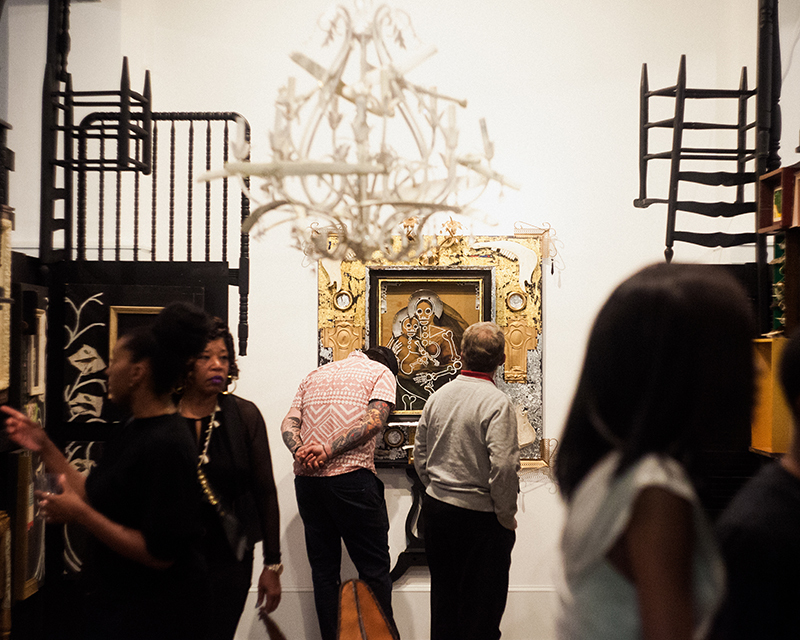 Many works on view hit social injustice head-on, while others operated more subversively–a reminder that we are the sum of our collective parts — the shiny, the tarnished, the sacred. The exhibit featured works from: Butch Anthony, Willie Mae Brown, Vince Buwalda, Thornton Dial, Sydney A. Foster, the quilters of Gee’s Bend, RC Hagens, Lonnie Holley, Chintia Kirana, Joe Minter, Ronald Locket, Michi Meko, and Bill Traylor. April-July 2018. © 2019. Montgomery Builds. All Rights Reserved.